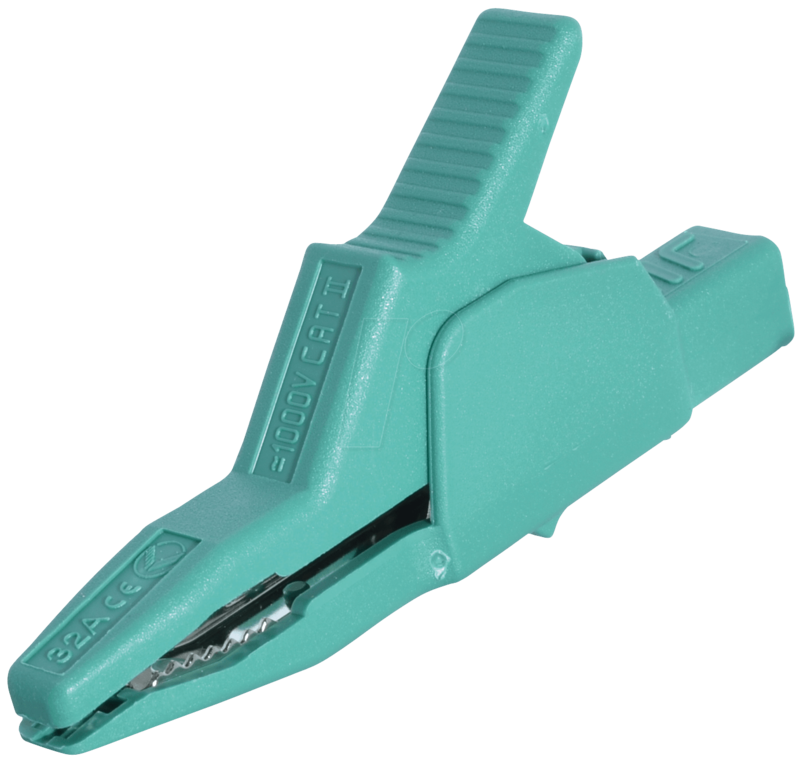 Contact-protected, high-strength, wide-opening tapping clamp. Clamping range up to 30 mm bolt diameter. Solid wire clamp in U-shape and fine wire surface. Plug-in, nickel-plated brass connection socket with 4-mm safety measuring leads.